Order in 12 Hours 46 minutes 51 seconds for dispatch today! 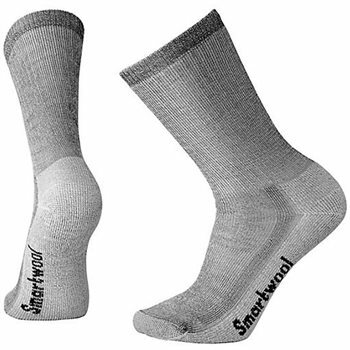 This all-purpose three-season outdoor sock was designed for rugged day hikes or moderate backpacking. Arch brace holds the sock in place and adds additional support. Flat-knit toe seam keeps you comfortable. I have used this make of hiking sock for perhaps 10 years, in Scotland, Ireland, the Rockies and the Andes of Ecuador. Providing that they are not over - worn but reasonably new or in good condition they give an excellent protection to the feet under arduous conditions. I never leave home without them. If they have been worn to much, the polyester reinforcement comes to the surface and acts as an abrasive so never think of them as everlasting. This does take quite a while and the life expectancy of the socks is very good.